This really should be a list of 15 books I have on pre-order. Maybe someday I will. As for now, I’m just admiring them from afar on my blog. Check out any of these upcoming releases for 2018 if you want the latest and greatest YA novels. Disclaimer: All my pre-order info is tailored for Australian teen readers like myself 🙂 I’m sure for many, such as the Brits and Americans, the release date may even be sooner (lucky you!). Synopsis: Five years after the destruction of the so-called rehabilitation camps that imprisoned her and countless other Psi kids, seventeen-year-old Suzume “Zu” Kimura has assumed the role of spokesperson for the interim government, fighting for the rights of Psi kids against a growing tide of misinformation and prejudice. But when she is accused of committing a horrifying act, she is forced to go on the run once more in order to stay alive. Confession: I haven’t read this series, YET. I recently borrowed the first instalment from the library. 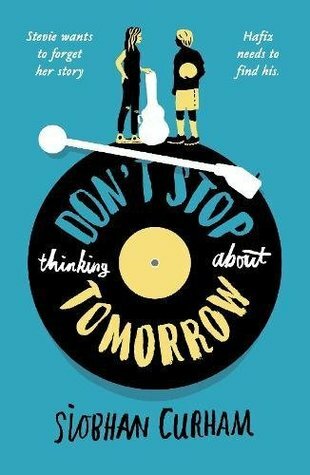 Synopsis: Fourteen-year-old Stevie lives in Lewes with her beloved vinyl collection, her mum … and her mum’s depression. When Stevie’s mum’s disability benefits are cut, Stevie and her mother are plunged into a life of poverty. But irrepressible Stevie is determined not to be beaten, and she takes inspiration from the lyrics of her father’s 1980s record collection and dreams of a life as a musician. Then she meets Hafiz, a talented footballer and a Syrian refugee. Hafiz’s parents gave their life savings to buy Hafiz a safe passage to Europe; his journey has been anything but easy. Then he meets Stevie… As Stevie and Hafiz’s friendship grows, they encourage each other to believe in themselves and follow their dreams. This seems a little too sad for me, but I’m sure I’ll appreciate the topics of government assistance vs resistance (aka refugee policies). Synopsis: Two years after escaping Gotham City’s slums, Selina Kyle returns as the mysterious and wealthy Holly Vanderhees. She quickly discovers that with Batman off on a vital mission, Batwing is left to hold back the tide of notorious criminals. Gotham City is ripe for the taking. Synopsis: In the wake of tragedy, neither Lazlo nor Sarai are who they were before. One a god, the other a ghost, they struggle to grasp the new boundaries of their selves as dark-minded Minya holds them hostage, intent on vengeance against Weep. As humans and god spawn reel in the aftermath of the citadel’s near fall, a new foe shatters their fragile hopes, and the mysteries of the Mesarthim are resurrected: Where did the gods come from, and why? What was done with thousands of children born in the citadel nursery? And most important of all, as forgotten doors are opened and new worlds revealed: Must heroes always slay monsters, or is it possible to save them instead? I actually hated the first instalment of this book; Stranger the Dreamer. 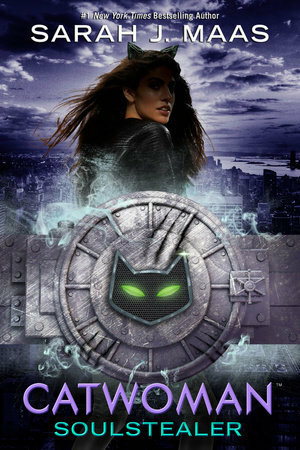 But the book cover is so pretty! Synopsis: The breathtaking story of five brothers who bring each other up in a world run by their own rules. As the Dunbar boys love and fight and learn to reckon with the adult world, they discover the moving secret behind their father’s disappearance. 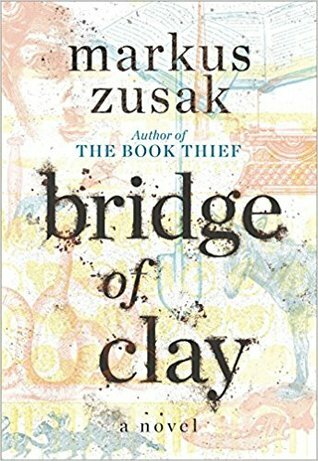 At the centre of the Dunbar, family is Clay, a boy who will build a bridge—for his family, for his past, for greatness, for his sins, for a miracle. The question is, how far is Clay willing to go? And how much can he overcome? Synopsis: The #1 bestselling series returns with a thrilling new story arc set in America! Clues to Abe’s double-life as a peculiar operative start to emerge, secrets long hidden in plain sight. And Jacob begins to learn about the dangerous legacy he had inherited—truths that were part of him long before he walked into Miss Peregrine’s time loop. Now, the stakes are higher than ever as Jacob and his friends are thrust into the untamed landscape of American peculiardom—a world with few ymbrynes, or rules—that none of them understands. 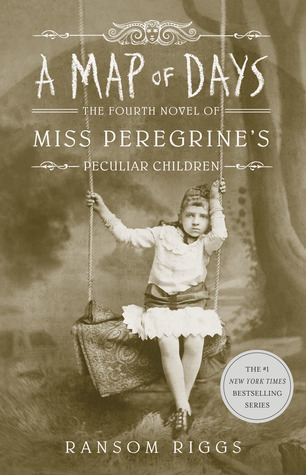 New wonders, and dangers await in this brilliant next chapter for Miss Peregrine’s peculiar children. Their story is again illustrated throughout by haunting vintage photographs, but with a striking addition for this all-new, multi-era American adventure—full colour. 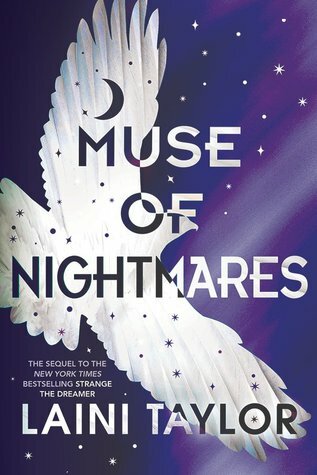 Okay– I didn’t like the first instalment of this either. But you may have, and I want to let everybody know of the latest pre-orders! 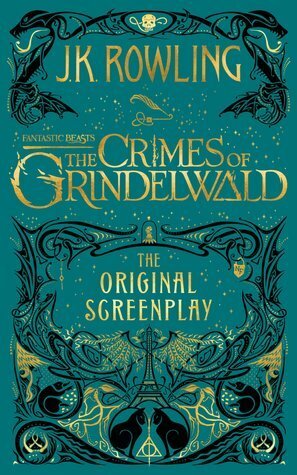 Synopsis: At the end of Fantastic Beasts and Where to Find Them, the powerful Dark wizard Gellert Grindelwald was captured in New York with the help of Newt Scamander. But, making good on his threat, Grindelwald escapes custody and sets about gathering followers, most unsuspecting of his true agenda: to raise pure-blood wizards up to rule over all non-magical beings. Secondly: I have to read this for my boyfriend, who loves the movie for the first screenplay. 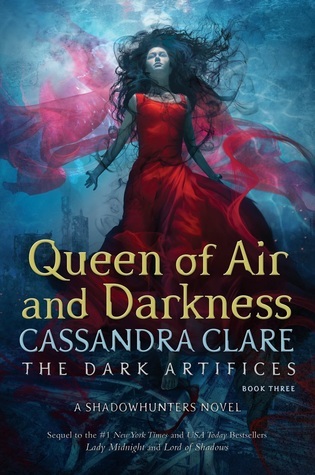 Synopsis: Dark secrets and forbidden love threaten the very survival of the Shadowhunters in Cassandra Clare’s Queen of Air and Darkness, the final novel in the #1 New York Times and the USA TODAY bestselling The Dark Artifices trilogy. I AM SO EXCITED TO READ THIS!!! Read my reviews for the first and second book by hovering over the links. 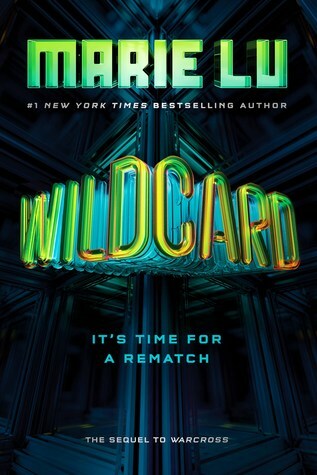 Synopsis: Emika Chen barely made it out of the Warcross Championships alive. Now that she knows the truth behind Hideo’s new NeuroLink algorithm, she can no longer trust the one person she’s always looked up to, who she once thought was on her side. I really enjoyed Warcross. I’m excited to read the next one once it’s out at the library. But her new friend has secrets of her own. She can’t stay in Havnestad, or on two legs unless Evie finds a way to help her. Now Evie will do anything to save her friend’s humanity, along with her prince’s heart—harnessing the power of her magic, her ocean, and her love until she discovers, too late, the truth of her bargain. Synopsis: What if Ariel had never defeated Ursula? Five years after the (twisted) events of the film, Ariel is now the queen of Atlantica, and Ursula is running Eric’s kingdom on land. 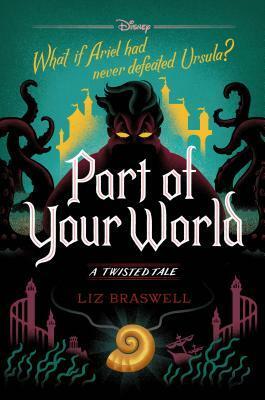 But when the sea witch threatens Atlantica once more, Ariel finds herself returning to a world (and a prince) she thought she’d left behind forever. 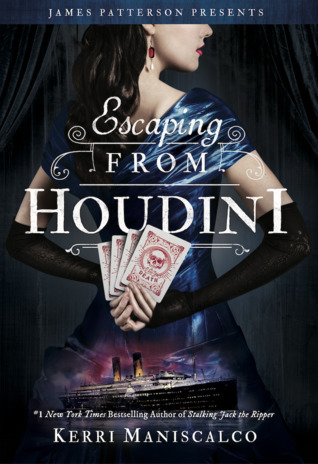 Synopsis: In this third instalment in the #1 bestselling Stalking Jack the Ripper series, a luxurious ocean liner becomes a floating prison of scandal, madness, and horror when passengers are murdered one by one…with nowhere to run from the killer. Audrey Rose Wadsworth and her partner-in-crime-investigation, Thomas Cresswell, are en route to New York to help solve another blood-soaked mystery. Embarking on a week-long voyage across the Atlantic on the opulent RMS Etruria, they’re delighted to discover a travelling troupe of circus performers, fortune tellers, and a certain charismatic young escape artist entertaining the first-class passengers nightly. #12 and #13 I have yet to begin reading (the prequels), but from all the hype from Goodreads, I just had to include them. Synopsis: Felicity Montague is through with pretending she prefers society parties to books about bone setting—or that she’s not smarter than most people she knows, or that she cares about anything more than her dream of becoming a doctor. 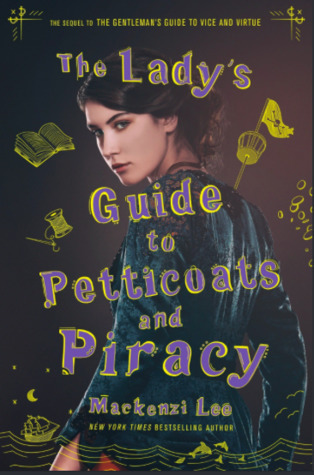 A year after an accidentally whirlwind tour of Europe, which she spent evading highwaymen and pirates with her brother Monty, Felicity has returned to England with two goals in mind—avoid the marriage proposal of Callum Doyle, a lovestruck suitor from Edinburgh; and enrol in medical school. However, her intellect and passion will never be enough in the eyes of the administrators, who see men as the sole guardians of science. But then a small window of hope opens. Doctor Alexander Platt, an eccentric physician that Felicity idolises, is looking for research assistants, and Felicity is sure that someone as forward thinking as her hero would be willing to take her on. However, Platt is in Germany, preparing to wed Felicity’s estranged childhood friend Johanna. Not only is Felicity reluctant to open old wounds, but she also has no money to make the trip. 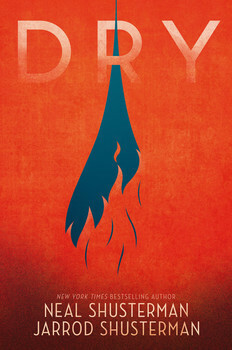 Synopsis: When the California drought escalates to catastrophic proportions, one teen is forced to make life and death decisions for her family in this harrowing story of survival from New York Times bestselling author Neal Shusterman and Jarrod Shusterman. This year I read Scythe, and I LOVED IT. 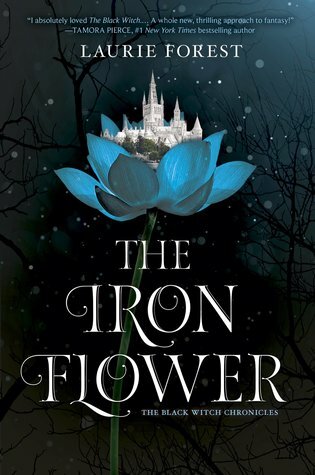 Synopsis: Elloren Gardner and her friends were only seeking to right a few wrongs, but their actions have propelled them straight into the ranks of the realm-wide Resistance against Gardnerian encroachment. As the Resistance struggles against the harsh rulings of High Priest Marcus Vogel and the Mage Council, Elloren begins to realize that none of the people she cares about will be safe if Gardneria seizes control of the Western Realm. With tensions heating up in Verpacia, more and more Gardnerian soldiers continue to descend upon the university…led by none other than Lukas Grey, now commander of the newly rebuilt Fourth Division base. 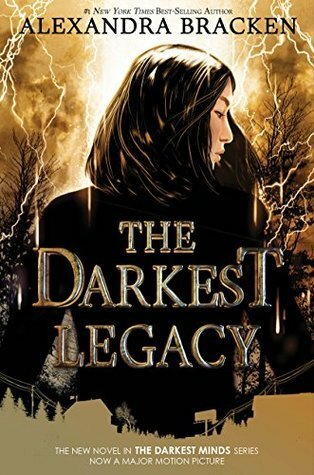 Though Elloren tries to keep him at arm’s length, Lukas is determined to and fast to her, convinced that she has inherited her grandmother’s magic—the prophesied power of the Black Witch. As his very nearness seems to awaken darkness inside her, Elloren finds it more and more difficult to believe that she’s truly powerless, as her uncle always claimed. Black Witch has been on my TBR list for so long (but I’ve been put-off by the controversy of the story), and I was compelled to finish this list with another gorgeous cover. Do you pre-order books? What do you have waiting? Comment down below!